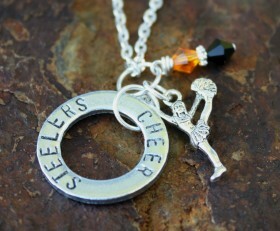 Here’s a cute Cheer charm customized to your school. 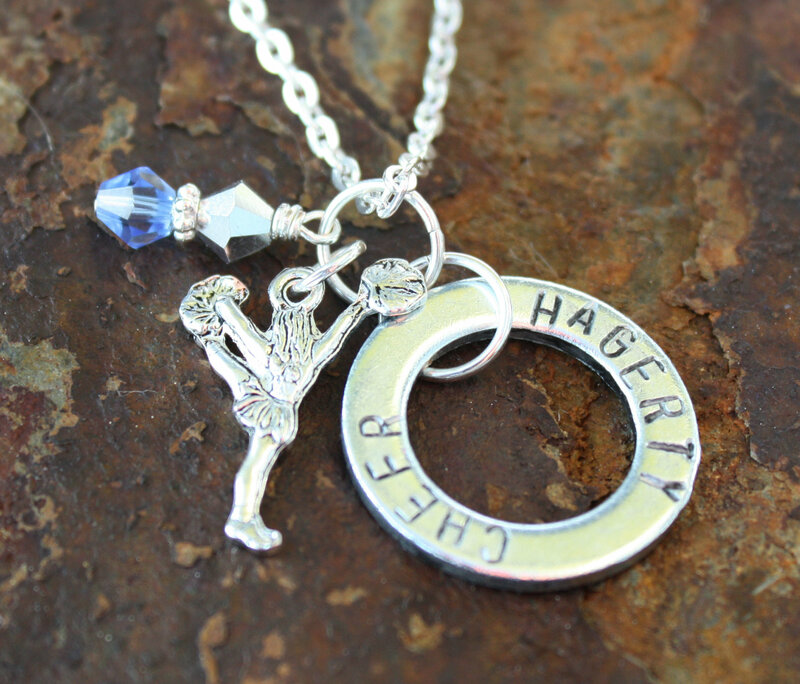 Let us know the name of your school and school colors and we’ll personalize one for you. 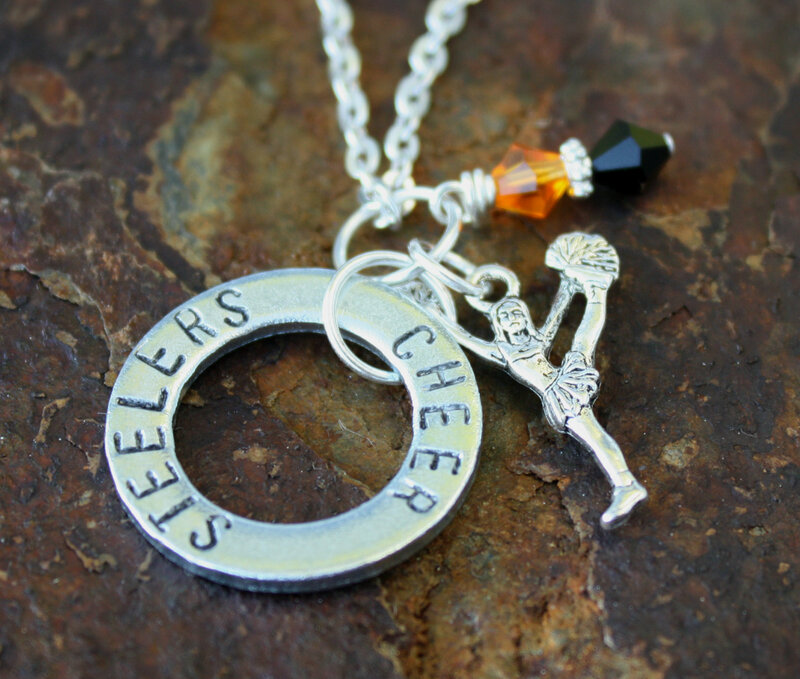 It includes a cheer charm and Swarovski crystals in your school’s colors. Categories: Dance & Cheerleader Jewelry, High School Teams.